Lawn sand is primarily used to level off any holes or fill out areas in your yard that are too low or leveling out areas. It is a great base for the new sod to grow on. It is a very fine sand that can also be used to fill in the space in between the pavers to lock them together. 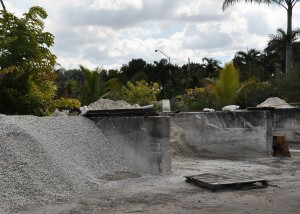 Concrete leveling sand is primarily used to create a solid foundation when it is packed down for pavers or it can also be used to combine with cement to create a strong concrete mixture. The other type we have is playground sand and this is used primarily in playgrounds and volleyball courts. This is very granulated resembling beach type sands that does not compact down. This type of sand also deters insects from living in it compared to the other two types of sand that we have. 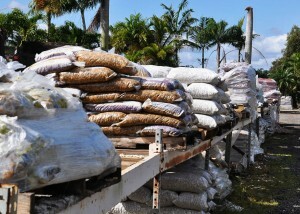 All of our sands are always available in half cubic foot bags, or by the complete cubic yard. You can either come to the nursery and pick it up yourself if you have a pickup truck or a trailer and we will be more than happy to load it for you. Or we can deliver it for you. Just give us a call to find out how much shipping would be. 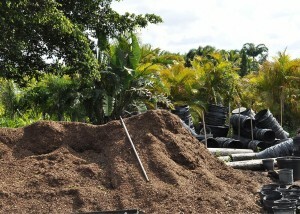 We can also do the installation of the sand for your project. Sands are also available by the complete truckload, or half truckload.